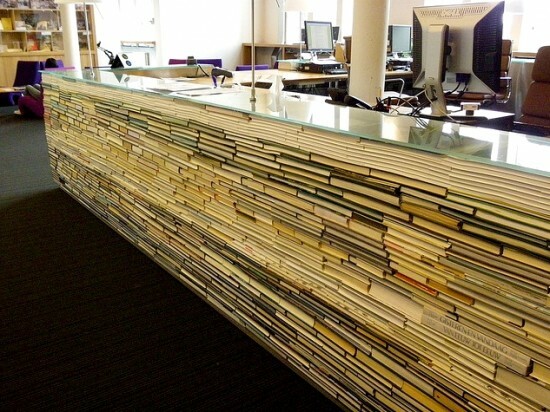 When the day comes that people no longer read books, it’s good to know that we can painstakingly stack them into desks and place our computers atop them. This entry was posted in books, design. Bookmark the permalink. Very cool. I also saw recently at one of my friend’s design for a client where he made a column out of books and then but a light in the center. I think they’re likely to become collector’s items, centuries from now.